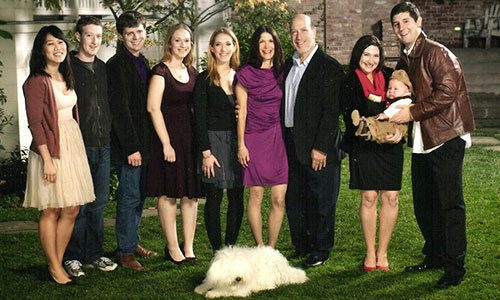 Mark Eliot Zuckerberg is one of the youngest and most successful business entrepreneurs. He works as the CEO of the world famous social networking site, Facebook. He is also one of the five co-founders of Facebook and primarily responsible for the current status and widespread use of the social networking website. Starting the website Facebook as a social platform for the Harvard university students with his fellow roommates and students, Mark rarely had thought it would go on to be the backbone of connecting people across the globe with one billion users in 2012. He was involved in a lot of legal disputes due to the rights claimed by others over the development, launch and success of Facebook. Mark is a great philanthropist, smart and an avid programmer and successful entrepreneur. A movie made based on the life and story of Mark, Social Network, went on to become a great success and also won prestigious Golden Globe Awards for its story and portrayal. Let us take a look at the family tree of Mark Zuckerberg, which is not as extensive as many of the old market leaders and family trees owing to his young age and success. Mr. Zuckerberg was born to the dentist Edward Zuckerberg and Karen Kempner, a psychiatrist, in the year 1984 at White Plains, New York. He was born into a comfortable life with a family of means and sources. He went to good schools and was given the chance to quality education. He dropped out of college owing to the success of Facebook and took the social networking site to its current status. 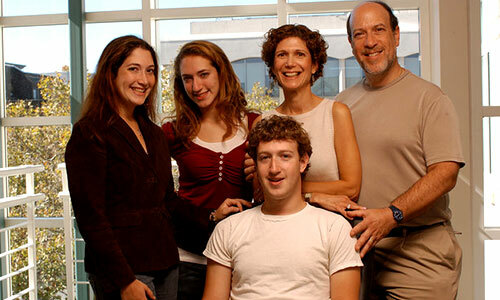 Mark Zuckerberg lived and was raised along with his three sisters Randi, Donna, and Ariellewere raised in Dobbs Ferry, New York. 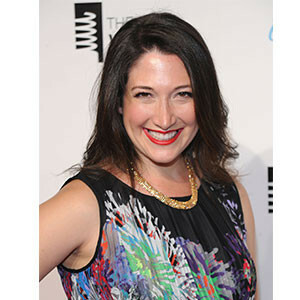 Randi Jayne Zuckerberg was actively associated with Facebook as a Director of Market Development and as a Spokeswoman of Facebook, working closely with her brother. Prior to her stint at Facebook, she was working with Forbes on Fox as a panelist. Today, she works as the editor in chief and CEO of Dot Complicated, digital website for lifestyle. Mark met Priscilla in his sophomore year through common friends and began dating her in 2003. She is a medical student and graduate from University of California, San Francisco. 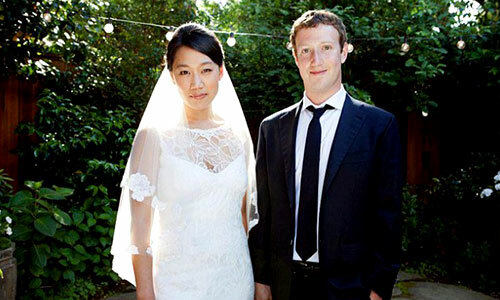 They both got married on May 19, 2012 in a private ceremony in Mark’s house’s backyard. 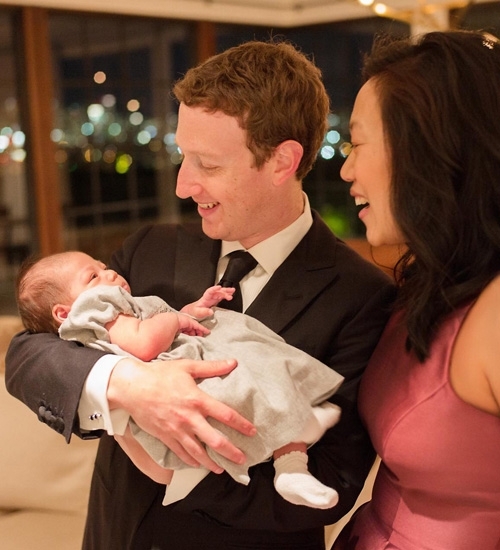 Mark and Priscilla welcomed their first child, daughter, Max Zuckerberg on 30th November, 2015. 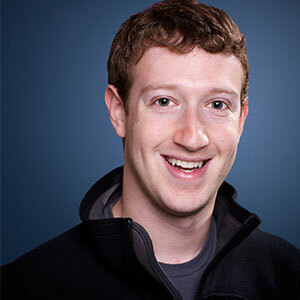 Mark’s networth stands at US$ 33 billion today at a young age of 30. He is extremely active politically and also focuses on many philanthropic causes, such as immigration reform, improvement in science and technological education. Mark Zuckerberg went public with Facebook IPO on May 19, 2012 and this helped Facebook make it to the Forbes list of Fortune 500 companies. With this listing, according to the Forbes magazine, Mark Zuckerberg was the youngest Fortune 500 company’s CEO to make it to the list. He was 28 at that time.